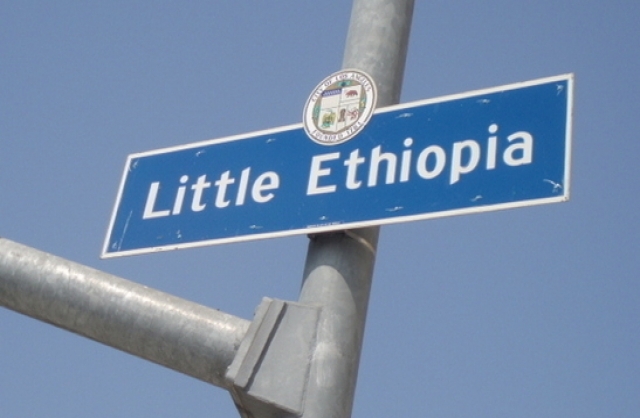 The 2013 Little Ethiopia Cultural Street Festival in Los Angeles will be held on Sunday, September 8th. Los Angeles (TADIAS) – It was 11 years ago this month on August 7, 2002 that the city of Los Angeles designated through a unanimous council vote that the neighborhood on Fairfax Avenue, between Olympic and Pico Boulevard, be recognized as Little Ethiopia, making it the first street in the United States to be named after an African nation. For the last 12 years the Little Ethiopia Business Association has been hosting a popular cultural street festival that attracts a diverse crowd from L.A. and beyond to the area. Organizers say this year’s celebration is scheduled to take place on Sunday, September 8th, 2013 between Olympic and Whitworth Avenue with events including live music, vendors, fashion show, comedy, and much more. The 2013 festival will also feature Alemtsehay Wodajo, an accomplished actress, poet and songwriter, as well as city and state officials. According to Berhanu Asfaw, President of the Little Ethiopia Business Association, students from a local elementary school will also perform the Ethiopian National Anthem. The keynote speaker is Dr. Menbere Aklilu, owner of Salute e Vite Ristorante in Richmond California. Below are photos from past events.